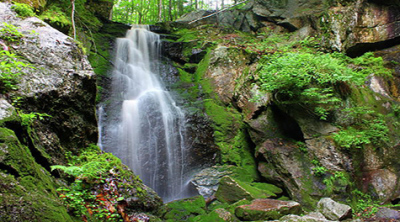 Massachusetts is a New England state known for its significant Colonial history. 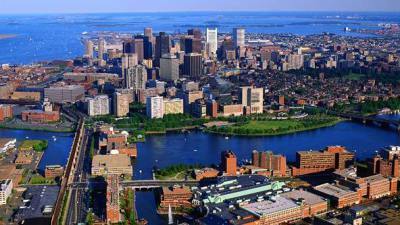 In Boston, its capital, the Freedom Trail is a walking route of sites related to the American Revolution. The city is home to the Museum of Fine Arts and other world-class institutions. It's Red Sox baseball team plays at Fenway Park, and the Public Garden is known for its swan boats. 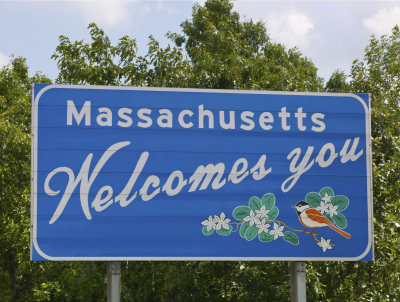 One of the original 13 colonies and one of the six New England states, Massachusetts (officially called a commonwealth) is known for being the landing place of the Mayflower and the Pilgrims. 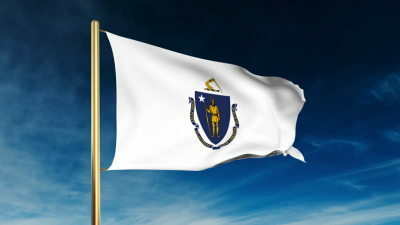 English explorer and colonist John Smith named the state for the Massachuset tribe. 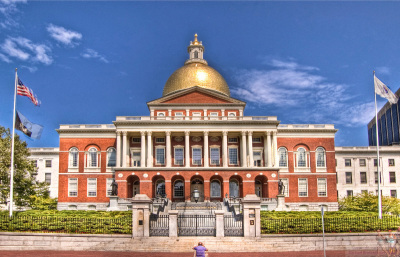 Boston, the state capital, was a hotbed of activity, including the Boston Massacre and the Boston Tea Party, during the American Revolution. In addition to its revolutionary spirit, the state is known for sparking the American Industrial Revolution with the growth of textile mills in Lowell, and for its large Irish-American population. The chocolate chip cookie was reportedly invented in 1930 at the Toll House Restaurant in Whitman, Massachusetts. In 1997, it was designated the official cookie of the Commonwealth. Established in Cambridge in 1636 by a vote of the Massachusetts Bay Colony, Harvard University was the first institution of higher education in the United States. Nineteen people were hanged at Gallows Hill in 1692 for worshipping the devil and practicing witchcraft, and close to 200 others were similarly accused. In 1711, after Judge Samuel Sewall and others involved in the Salem witch trials had admitted wrongdoing, the colony restored the good names of all accused and granted restitution to their heirs. Following the American Revolutionary War, many people struggled to support their families under the heavy tax burdens levied to pay off war debt. Faced with losing their property, a group of insurgents led by Daniel Shays—a farmer and veteran of the war—forced the closure of several debtors’ courts and attempted to occupy a federal arsenal in Springfield on January 25, 1787. Although repelled, Shays’ Rebellion highlighted the need for a stronger national government and influenced the creation of the U.S. Constitution. Dr. James Naismith, a physical education teacher at the International YMCA in Springfield, invented the game of basketball in December 1891 as a way to occupy his students indoors during the cold winter months. The first game was played with a soccer ball and two peach baskets nailed to railings 10 feet above the floor.